Kids feel good about themselves when they’re successful—when they set goals and reach them. Goals also help children overcome difficulties. When kids are frustrated or upset, having a goal enables them to keep a “picture” in mind of what they’re aiming for. When your child sets goals, make sure she chooses ones she can reach in a short time frame. Show her how to set specific goals. For instance, “be smart” is too broad. 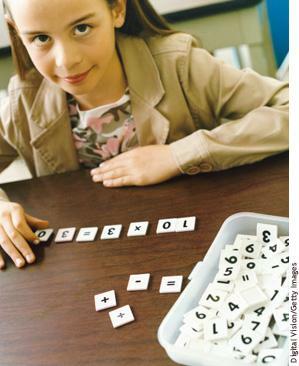 “Learn my multiplication facts,” however, can be observed and measured. Talk about the goal with others. This builds commitment to the goal. Celebrate when the goal is reached! Your praise of her efforts each step of the way will help keep your child focused and motivated.